The sleek, clean lines and artful sophistication of the Amelia Office Chair make it an ideal alternative to standard office seating. The Amelia features a chromed steel frame for added durability and strength. 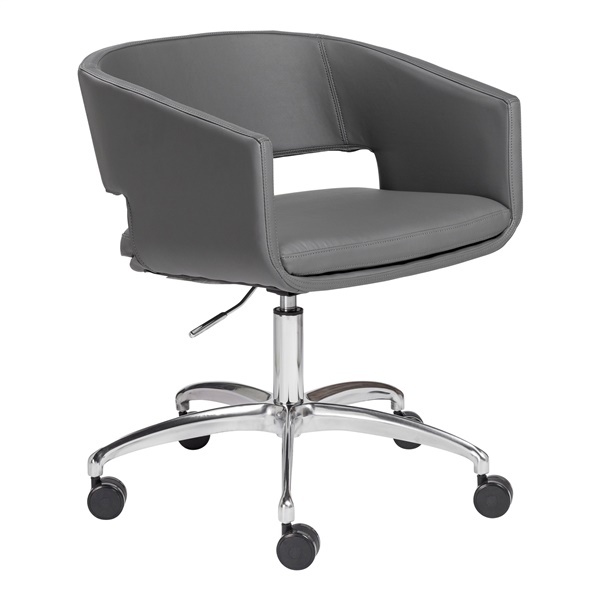 Deep seating, a continuous arm design and quality foam padding offer optimum comfort and support. Meanwhile, faux leather seat and back upholstery adds a soft, supple feel. The Amelia�s gracefully arched legs feature durable polyurethane casters for easy and seamless gliding. The base features gas height adjustment for added versatility and function.